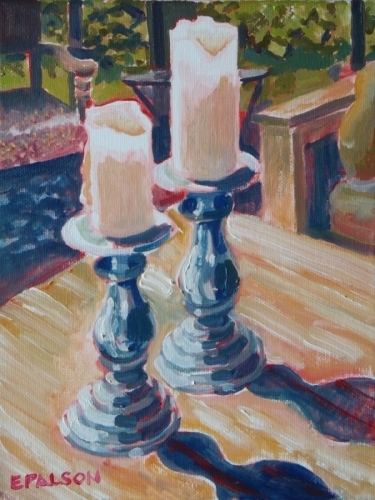 A pair of old candlesticks on the porch in sunlight. A view out to the porch from my kitchen. 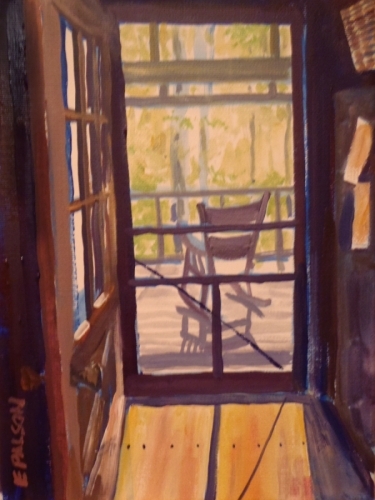 Morning sunlight was streaming in and it was inviting me to have a cup of cofee in the rocker. 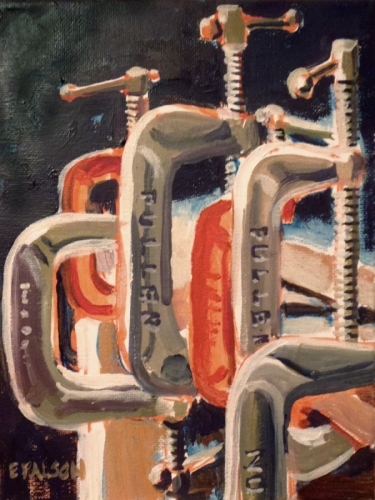 A series of C clamps. I was gluing up a wooden box on the porch and the sun was lighting the metal in an interesting way. The first in my 30 in 30 days series. A painting from a walk through the woods. 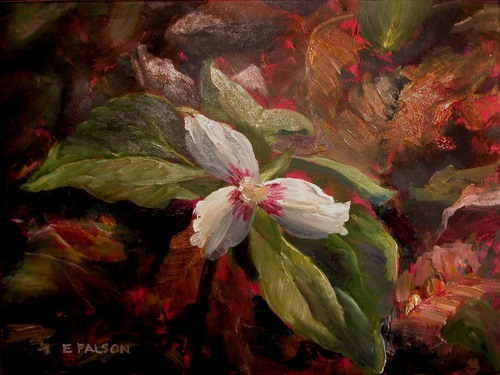 A white trillium pushing up through the leaf litter. 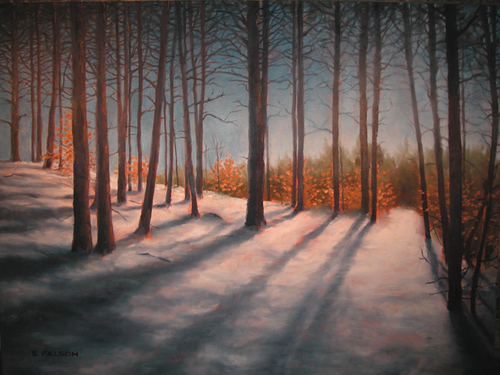 A quiet view of the woods behind my studio in winter. 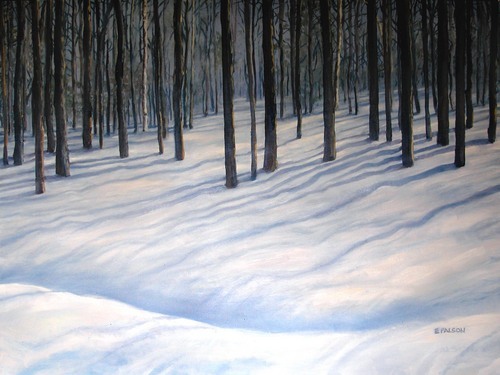 This is where our woods open out into a neighbor's field; the light streamed in under the canopy and created strong shadows on the snow.